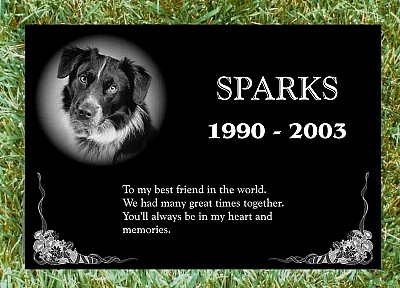 Pet Monument laser etched on black granite (12 x 8 x ¾) with finished edges. Includes layout, etching and material!  This includes digital image set up and layout for approval prior to etching.  Customer needs to supply a digital photo image or a picture for scanning of the pet. 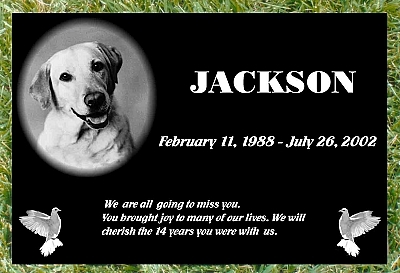  Includes Pet picture, Pet name, dates and personalized text.  10-12 days for Production Time once layout is approved.  Approximate weight is 9 lbs.